Have you recently had a hip or knee replacement? Elite Sports injury is now offering hip and knee joint replacement post-surgery group rehab classes! Call us at 204.888.3548 to learn more! Elite Physiotherapists treat everyone from professional athletes to recreational players and injuries covered by WCB and MPI. Log in to your home exercise videos here. Compliment your treatment plan! Massage therapy can be used to treat both acute and chronic conditions in people of all ages. Our four active-based Winnipeg physiotherapy clinics are located in St. Vital, Downtown, St. James, and Bridgwater. Our mission is simple: get you back in the game and to your healthy, active lifestyle. We provide services for a range of health and wellness issues. 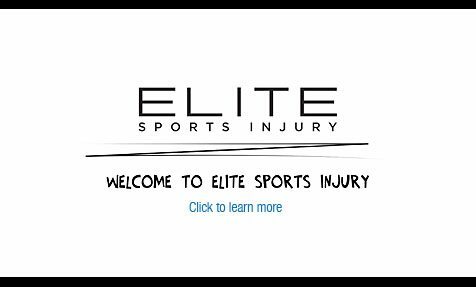 On your first visit to Winnipeg’s Elite Sports Injury Centres, your physiotherapist fully assess your strength, flexibility, posture, joint integrity and movement patterns, developing an individualized treatment strategy that matches your personal goals and improves your overall well‐being. We don’t just rehabilitate athletes. Our Winnipeg physiotherapy clinics are taking appointments now for vehicle related and work related injuries. If you are suffering from whiplash, repetitive strain, aches, pains, or other symptoms, we’ll help you with your WCB and MPI claims. Physiotherapists are expertly skilled in both inpatient and outpatient management of pre- and post-operative rehabilitation to ensure a safe return to activities of daily life, recreational activity, sports and work. Certified physiotherapists in Winnipeg’s Elite Physiotherapy clinics use acupuncture to help in the treatment of acute and chronic pain, muscle inflammation and tenderness, headaches, muscle spasms, and more. With our partners at Legacy Sport Medicine clinic in St. Vital, we offer ImPACT testing to help determine recovery from concussive injury. ImPACT is the standard in computerized concussion evaluation. Baseline concussion testing is available. We are currently looking for a dynamic and driven Registered Massage Therapist to join our team.